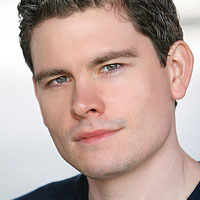 Andy Arena is a New York City based actor, singer and accompanist. He studied at Wagner College and received a Ba in Theater Performance. Off – Broadway: The Awesome 80s Prom (Beef). Other NY credits include: Cocktales (Joe #2), The Merry Wives of Windsor (Rugby), Holding Out For a Hero (Andy), The American Clock (Musician), Sondheim: The Birthday Concert (Ensemble) and Twelfth Night (Malvolio). He is a company member of Brave New World Repertory Theatre, reaching out to under-served audiences at unique and historic Brooklyn venues. Proud member of AEA. Thank you to the cell for opening new doors! 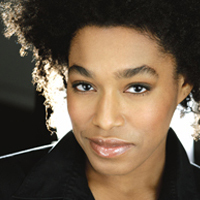 Amina Henry is a playwright and teaching artist based in New York City. She was a Resident Teaching Artist at The Oregon Shakespeare Festival for three seasons (2009-2012). She is a graduate of Yale University (BA English) and has an MA in Performance Studies from New York University. Currently she is pursuing an MFA in Playwriting at Brooklyn College under the guidance of Mac Wellman and Erin Courtney.To date, produced works include: The Student and the Actor with Sticky Productions (Ashland, OR), The Paper Swan in the InspiraTO Festival (Toronto, CA) and the One-Act Play Festival at Towne Street Theatre (Los Angeles, CA), The Bride at Midnight in Sticky at the Bowery Poetry Club (NYC), My Beautiful Grandmother in the Estrogenius Festival at Manhattan Theatre Source (NYC), Thumbsucker in the Brief One Acts Play Festival with Love Creek Productions at The Producers Club (NYC), and, most recently, Chalk in the 2012 Tiny Theatre Festival at The Brick (Brooklyn, NY). Her work has been developed by: The Oregon Shakespeare Festival, the cell, The Hive, Shakespeare’s Sister Company, HERO Theatre and The Brick. 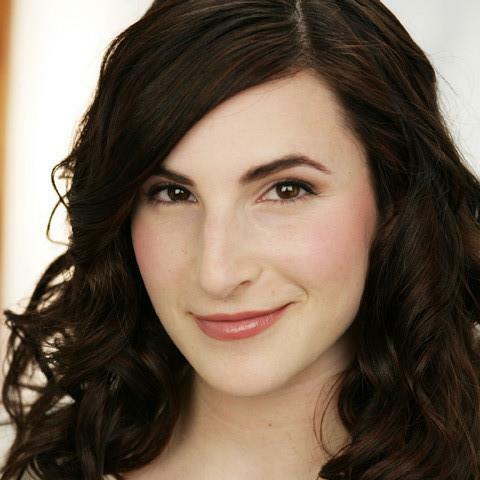 She is a 2012-2013 Core Apprentice playwright at The Playwrights Center in Minneapolis. For information on her upcoming projects, go to aminahenry.wordpress.com. Carmit Levité has returned to NYC from Los Angeles. (As Neil Simon wrote “We Jews always end up in the desert somehow…”) Since her return she has played Leah Chase in Bad Evidence by Terry Quinn at The Cell Theatre. Prior to that: the femme fatale in the two hander noir play The Tangled Skirt by Steve Braunstein at NJ Rep (Nominated for The Edgars 2011) just after wrapping Noir Film by Allan Knee (Finding Neverland,) yet again playing the fatale dame. Other favorites include Beverly Moss in Abigail’s Party, (Odyssey Theater) Various roles in Gulu Monteiro’s The Good Soul of Szechuan (The Electric Lodge,) Bobbi Michele in Last of the Red Hot Lovers (Odyssey Theater,) Marilyn Monroe in Blonde, by Joyce Carol Oats (Actors Studio,) Audrey in As You Like It (Storm Theater,) Celiméne in The Misanthrope, Harper in Angels in America (Adler Theater) and various roles in the on-going Soho Shorts (Soho Playhouse.) Films: The Englishman (w/ Velibur Topic and Branka Katic,) The Martyr (CINE Masters’ Series Award,) Covert and Cross Eyed, (Solstice Film Festival Grand Jury award.) In both coasts, Carmit is an avid follower of Larry Moss and Joyce Piven. Elinor Renfield began training as a dancer with the Martha Graham Company in the 1950s. She attended the “old” High School of the Performing Arts, the Central School of Speech and Drama in London, and earned an MA in Theater at City University of New York. She has directed over 25 new American plays since 1976 at NY Shakespeare Festival, Playwrights Horizon, The American Place Theater, Ensemble Studio Theater, Theater for the New City, and Café La Mama. Her production of Johnny Got His Gun at the Circle Repertory won an Obie Award, her production of The Diary of Anne Frank won the Boston Theater Award, and her production of Passion Play by Peter Nichols at the Arena Stage in DC was nominated for a Helen Hayes Award. She has since again directed Passion Play, at the Minetta Lane Theater (off-Broadway), and revised the libretto and directed the Schwartz/Fields musical, A Tree Grows in Brooklyn at the Goodspeed Opera House. On Broadway, Ms. Renfield directed Open Admissions by Shirley Lauro at the Music Box. Since 1988, she has been on the faculty of Theater and Dance at Princeton University. Seamus Scanlon is an associate professor and a Carnegie Corporation/New York Times awardwinning librarian at the City College of New York’s Center for Worker Education. He is a native of Galway, Ireland and a graduate of University College Galway, the University of West London, and the City College of New York. Recent achievements include a residency at the McDowell Artists Colony and an emerging writer fellowship from the Center for Fiction in New York. His latest theater project ‘Dancing at Lunacy’ ran during March 2012 at the cell theater in New York to enthusiastic reviews for example in the Huffington Post. The sequel ‘I Am Harm’ is nearing completion. His work has appeared in the Irish Times, the Sunday Tribune, Promethean, Journal of Experimental Fiction, Review of Post Graduate English Studies, Global City Review, Fish Publishing Anthologies, the Roanoke Review and Gemini Magazine.